Chemotherapy is the use of medicines to kill cancer cells. Chemotherapy works by killing cells that are dividing and growing quickly. Cancer cells definitely fit into that category. However, some normal cells are also always dividing, including cells in the bone marrow; cells that line the mouth, throat and digestive tract; as well as cells responsible for hair growth. The death of normal cells is responsible for many of the side effects of chemotherapy. Chemotherapy for head and neck cancer has changed a great deal because new medicines have been discovered and clinical trials comparing different kinds of treatments have been conducted. In the past, chemotherapy for head and neck cancers was really not used as a cure but instead used to lessen symptoms in cancers that recurred after other treatment failed and/or to slow the growth of the cancer. Right now, chemotherapy is used in several ways. For advanced stage cancers (stages III and IV), chemotherapy can be used with another treatment to try to eliminate cancer from the entire body. However, it still plays an important role in lessening symptoms and treatment of head and neck cancer that has spread to areas of the body. There are several different chemotherapy medicines. Cytotoxic medicines kill cells as they divide. Since cancer cells divide more quickly than other cells in the body, chemotherapy can target cancer cells. However, many other cells in the body are constantly dividing (though not necessarily as quickly as cancer cells), so the side effects of chemotherapy can include damage to normal cells. An example is hair loss (also called alopecia); these cells are constantly dividing as hair continues to grow, so cytotoxic chemotherapy can kill hair cells along with the cancer cells. There are many different types of chemotherapy drugs that differ in how they kill the cancer cells. The choice of medicine is based on studies that have shown which ones are effective. In some cases, different types of chemotherapy drugs might be used together. While this might make some side effects worse, it might be better at treating your loved one’s cancer. 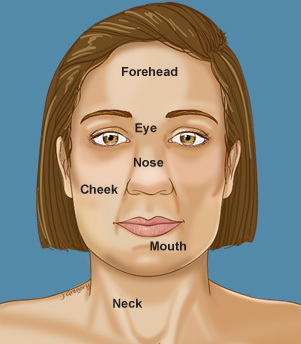 There are also other types of drugs that can be used to treat head and neck cancer. These are not grouped together with chemotherapy because they are more targeted drugs and are not chemicals but actually proteins that take aim at other proteins found on cancer cells. Synthetic thyroid hormone is an example of a kind of protein-based medication that is not a chemotherapy drug, but it is used to lower the chance of some thyroid cancers coming back. By taking thyroid hormone by mouth every day, the brain decreases the production of another protein in the blood called thyroid stimulating hormone (TSH). By lowering TSH levels in the blood, the chance of thyroid cancer returning might be decreased in certain cases. How chemotherapy is given will be decided by a medical oncologist. Obviously, the treatment plan will be made along with the rest of the cancer team, including a radiation oncologist and head and neck surgeon. Induction/neoadjuvant chemotherapy: The chemotherapy is used before another treatment such as surgery or radiation. The idea is to shrink the tumor and/or see the response of the tumor to the chemotherapy and then complete the treatment. Adjuvant chemotherapy (with or without radiation): The chemotherapy is used soon after the initial treatment, such as surgery. In some cases of advanced cancer, chemotherapy and radiation may be given together after the surgery. Sometimes the decision to give chemotherapy in addition to radiation after surgery is only made AFTER the doctors look at the pathology results from the surgery. Definitive chemotherapy (and radiation): Chemotherapy is given along with radiation with the hope of getting rid of the cancer without surgery. “Definitive chemotherapy” is using chemotherapy alone to try to cure the cancer, but this is not used in head and neck cancer (except perhaps in lymphoma). When this is used, if there is evidence that the cancer is not completely gone (persistent disease), or if it comes back in the same place, surgery will probably be the next step. Surgery after chemotherapy fails and/or radiation is called salvage surgery. As compared with surgery up front, salvage surgery is more difficult and may be more extreme. And there may be more complications than if surgery were used to begin with. However, definitive chemotherapy/radiation can be just as effective and allows for the possibility of avoiding surgery and keeping certain organs. Palliative chemotherapy: Chemotherapy is given either by itself or with some other form of treatment, not to cure the cancer but to slow its growth, prevent major complications and try to improve quality of life. 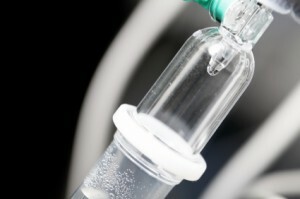 Chemotherapy is usually delivered in multiple doses. This is because each time chemotherapy is given, a certain number of cancer cells are killed. The more doses of chemotherapy, the more of the cancer cells are destroyed. But giving too much chemotherapy can make the side effects worse, so the right balance needs to be reached. Intravenous: Most chemotherapy is given directly into the veins. Intra-muscular: The chemotherapy is given as a shot into one of the muscles. By mouth: Some chemotherapy drugs can be taken at home in a pill. Intra-arterial: Though not used often in head and neck, chemotherapy for certain cancers can be given directly into an artery. Transcutaneous: For some skin cancers, your loved one might get a cream to apply as a form of treatment. When given intravenously, there are several options. Most commonly, a nurse will place an intravenous line, usually into the hand or arm, and this will be taken out after the infusion is complete. However, longer-lasting lines might be suggested depending on the chemotherapy plan. This type of line provides short-term access to a vein for giving drugs. Typically, it is put in by a nurse on the day of chemotherapy and is taken out at the end of the session. No anesthesia is needed.This line should not stay in for more than a few days before being changed; and typically, your loved one will not go home with one of these. PICC stands for “Peripherally Inserted Central Catheter.”This is a kind of long-term intravenous access; the line is put in a small vein in the arm (just as with a normal intravenous line) without any sort of general anesthesia. The line is then fed all the way back to the superior vena cava as it empties into the heart. After the procedure, a chest X-ray may be done to confirm that the tip is in the correct place.This line can stay in for weeks. This type of long-term intravenous line is put in under anesthesia by a surgeon or an interventional radiologist.This line can stay in for weeks. A port is another kind of intravenous access. The device is buried completely under the skin, with no lines coming out. So once the scars are healed after the insertion, the area can be washed normally.This device is put in with some local anesthesia and sedation or with general anesthesia by a surgeon or an interventional radiologist.This line can stay in for quite a while, up to many months. Removal of a PICC line takes only a minute and can be done anywhere by a nurse or someone trained to remove these lines. It is carefully pulled out, pressure is held for a few minutes and then the site is watched for a short time to make sure there is no bleeding. Removal of this line is done by taking out the stitches holding the base to the skin and then pulling it out. Pressure is held for a few minutes, and then the site is observed for a short time to make sure there is no bleeding. Removal of this line is done by making an incision in the skin over the port. This can be done in the operating room under anesthesia or sometimes in the office. Complications of these lines might include infection, bleeding and blood clots. Rarely, a pneumothorax (air in the space around the lungs) could also be a complication. Infected lines should be taken out quickly. Will my loved one need to be in the hospital to get chemotherapy? In many cases, chemotherapy can be given outside the hospital. This means your loved one will go to a special chemotherapy infusion center for the day where a nurse places an intravenous line and your loved one sits and receives the medication. Your loved one can read, listen to music and maybe even watch television. There are also some home infusion companies. In this case, a nurse is sent to the house, and the drugs are given at home. Another type of chemotherapy requires going into the hospital. A nurse gives chemotherapy under the supervision of a doctor. In a hospital, the staff can monitor your loved one more closely and manage side effects. Sometimes the first part of treatment might be done on an outpatient basis, but admission to a hospital may be needed to finish the later part. How often and for how long will my loved one need to get the chemotherapy? The exact treatment will be decided by the doctor and may change from the original plan depending on what type of side effects your loved one has. In some cases, the chemotherapy might be given once a week for three weeks. In other cases, it might be given three days in a row and then every week for a few weeks. It could also be given continually for three days. The doctor will decide on the best plan for your loved one’s cancer. What other changes in routine can be expected? Depending on where the cancer is, additional treatment and the side effects, the doctors might recommend putting in a feeding tube. This is to help your loved one maintain nutrition through treatment. Also, while your loved one is getting chemotherapy, there might be an increased risk of getting an infection. Make sure to continually wash your hands and have others around you do the same so you do not spread an infection to your loved one. Even if the treatment is administered on an outpatient basis, temporary admission into a hospital might be needed to help manage some of the side effects. This is especially true if your loved one is getting radiation at the same time. There will definitely be side effects from chemotherapy. While chemotherapy targets cancer cells, these drugs can also cause damage to normal cells. Finding the right balance can be difficult. Mucositis: This is inflammation and ulceration of the lining of the mouth and throat. Mucositis can cause severe pain and difficulty with eating and drinking. This can happen with any chemotherapy medication but is more common with 5-FU. Also, when combined with radiation for head and neck cancer, this can especially be a problem. Hearing loss: This is a special risk factor for platinum-based chemotherapy drugs, such as the commonly used cisplatin. Other symptoms might include ringing in the ears (tinnitus). Kidney problems: This is a problem with all chemotherapy drugs, including cisplatin. Carboplatin is less dangerous to the kidneys than cisplatin. Nausea and vomiting: This is another common problem with all drugs, and for cisplatin more so than carboplatin. There are drugs that can help with the nausea and vomiting. These medications are often prescribed before chemotherapy starts. Rash: Rashes can occur with a variety of drugs, including 5-FU, but cetuximab is particularly known for this problem. With cetuximab, the rash looks similar to acne. Fortunately, the rash goes away when treatment stops, and there is no significant pain or problems related to rashes in most cases of cetuximab. The choice of chemotherapy should be individualized based on patient characteristics. This means the exact drugs given and how they are given varies depending on why chemotherapy is given and how sick/healthy your loved one is. Also, there are always clinical trials going on to try new combinations and sequences of treatments to improve the chance of cure, prolong life, prevent distant metastases and/or improve quality of life. If chemotherapy plus radiation is the first treatment option for this type of cancer, then the standard is cisplatin along with radiation. This is called concurrent chemoradiation. The use of chemotherapy followed by radiation (sequential chemoradiation) is another option. If induction chemotherapy is recommended, then the next steps after chemotherapy could be radiation alone, cetuximab with radiation or carboplatin with radiation. It is not recommended to give high-dose cisplatin along with radiation after giving induction cisplatin therapy. Chemotherapy alone may also be recommended.